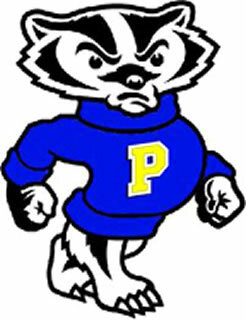 Prescott High School is proud to announce our new “Honorable Badger” program. In alignment with PHS’s trilateral goals, we have created an academic and behavior success program for students at PHS. The Honorable Badger program allows students, who in one academic quarter earn a 3.0 GPA, 2 or fewer absences, no unexcused absences, and no behavior referrals, the opportunity to receive a discount at participating local businesses. In addition, teachers will be nominating one student per quarter who does not qualify with the above criteria to also receive the opportunity for the discount at local businesses. Students who earn the opportunity for a discount with local businesses will receive a notice via their student email that they have qualified. The email will explain that to redeem the opportunity they can stop by the bookstore where the bookstore staff will check their student ID, check for their name on the list, and then place a sticker on the back of their student ID. The discount sticker will have the discount amount and expiration date. Students will be reminded of the program throughout each quarter on the announcements and with emails.